The second in a series of guest posts where new mums online, share their Mum stories for #NewMumFun with me. Enjoy! Hi I'm Emily and I blog at www.tealadymumbles.co.uk. 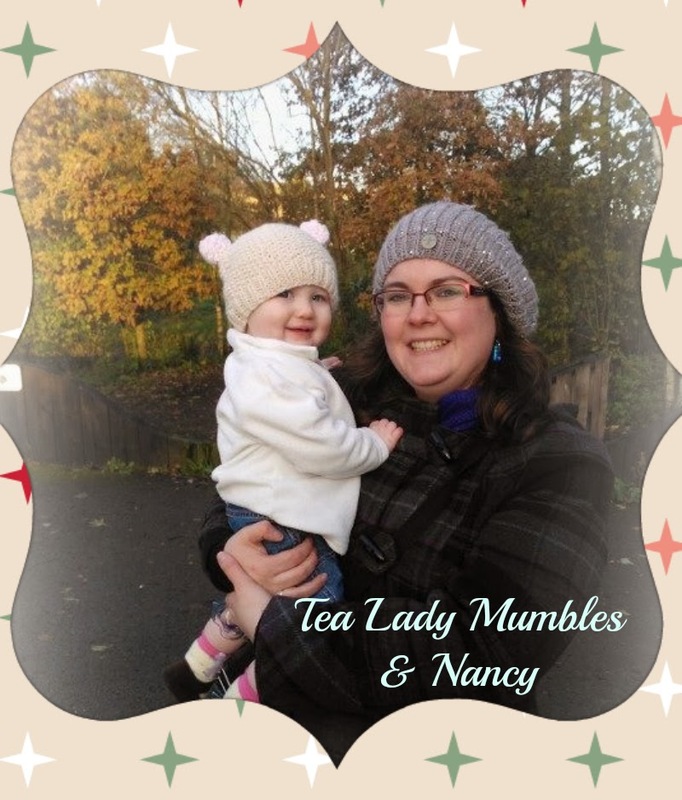 I am Mum to Nancy who is almost 10 months old. I started blogging in January this year (2013) and I started because I wanted to document how I experienced being a first time mum. I also wanted to share my experiences and pass on some advice I has come across about pregnancy and how I overcame an ectopic pregnancy. Was your labour everything you thought it would be? I was 12 days overdue when I was admitted to be induced. 2 days and a bit later, and I had my little girl. Being induced was not a nice experience. Nothing in my birth plan happened! I wrote about my birth story on my blog ( http://www.tealadymumbles.co.uk/my-birth-story/) and I also also blogged about my feelings about the birth and what happened after - I was in hospital for almost a week due to feeding issues. It was a very stressful time for me and one I'd rather not experience again. Favourite products you couldn't live without? I love my buggy - a baby jogger city mini GT. It has even great since the start, and should last until she is a toddler. It's so easy to use and fold down and fits in my tiny car boot! Muslin Squares - brilliant things that I use for everything! Bonjela Teething gel, calpol and ambesol - I always have these well stocked in my house for teething episodes! Waitrose baby bottom butter - smells gorgeous and is so kind to baby's skin. Brother max bath sprinkler toy - this is so good, a toy and a scoop for water to wash them with, all at the same time. I love it, and so does Nancy. What do you wish you'd known prior to being a Mum? I wish I'd known how difficult breastfeeding would be. I really struggled and I don't think the information they give you antenatally really prepares you at all for what breastfeeding is really like. I also wish I'd known a bit more about slings, and cloth nappies, as these are something I wish I'd tried from the beginning. I wish I'd been a bit braver and stuck to my own opinions and instincts, and not second guessed myself all the time! Follow your heart and your instincts, you are usually right. There's no such thing as doing something 'wrong' when you're a mum. We all do things differently, it doesn't matter. Try getting out the house at least once a day - it makes all the difference. I loved baby massage, it was a great first group to attend with Nancy. Anything you do differently, i.e. are you a Gina Ford or a Peaches Geldoff? I don't think I do things too differently. I guess I am a very laid back mum. I encourage Nancy to explore and experiment, and sometimes this includes things others may not let their baby use - for example the other day she wanted to eat off my fork, and recently we played with glitter. We are not very girly, Nancy doesn't dress up in frills or headbands (I've tried - she just takes them off and tries to destroy them!) and she hasn't worn any sort of shoe until very recently, as she has started to take a few steps. We don't care what colour her clothes are, she wears boys clothes as well as girls clothes, and she has a mix of toys from boyish to more girl focused. Nancy eats what we eat, we have done baby led weaning from the start, and she has taken to it really well. She has been bottle fed since 3.5 months, and she has a dummy she can't sleep without. We have a sequence of events, rather than a timetable or schedule. As long as she has her dinner, bath, bottle, bed routine at night, whatever the time, she will sleep. We just take each day as it comes, and take it from there really. I have taken bits and pieces of all sorts of methods and incorporated them into our lives. We take bits we like and give them a go. So far, so good! 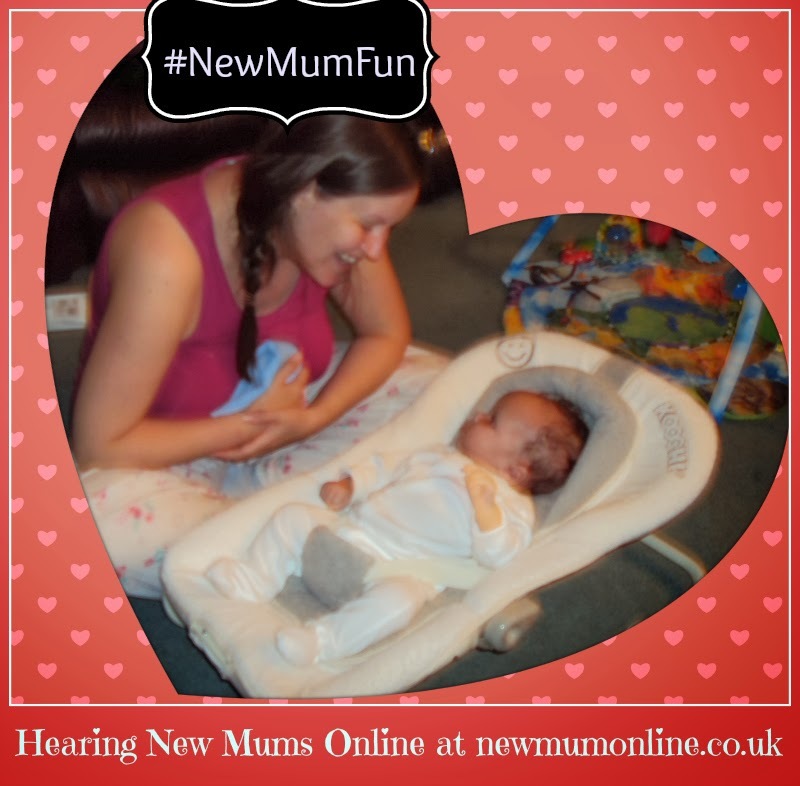 What's most rewarding about being a new Mum? Surviving! Looking at your baby and knowing you're doing your best, they are clothed, fed, bathed, and happy, and you have done that for them. The sense of achievement and the bond you create, it's like a secret club and only you two know the secret language! I never thought a newborn baby would interact or give you anything back, so I was so surprised when I found out they do, they give you so much, and say so much even though they can't even speak! Sleepless nights, not knowing what to do to calm your baby, when they are upset. Feeling like you don't know the answers - you ask for advice and no one ever tells you what to do, you have to make the decision. Making decisions about your baby can be a big challenge - I'd never had to think about some of these things before such as immunisations, when hey are ill what to give them, what to feed them, etc. Does blogging give you access to an online village of Mums or is it a hobby? How is blogging part of your life as a new Mum? Blogging has helped me so much, so has being part of an online community through twitter. I have made some real friends, people who I instantly connect with, through blogging, and having people give me advice and support, especially in the early days, was invaluable. I love blogging, I love the sense of community, friendship and support. I love that there is always someone out there who has been in your shoes, who can relate, and who can help you. I have also found it very cathartic to write about how I feel, to discuss my feelings honestly and openly, and to just get it out of my head. The fact that people have read these mumblings of mine still amazes me!